The price of petrol and diesel are touching the sky and there are no signs of restraining this price rise by government or price regulatory body. 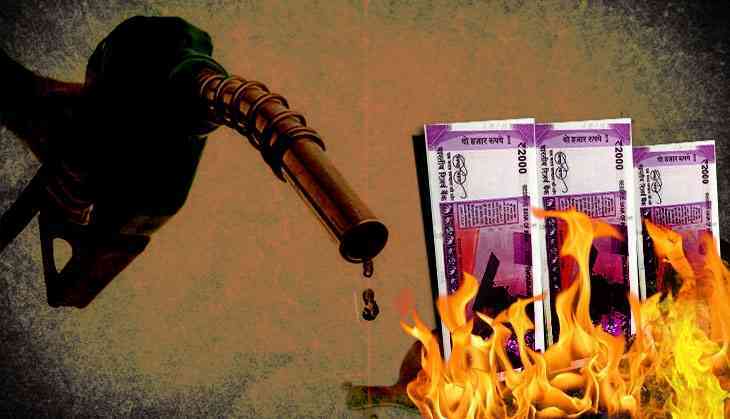 On Tuesday the price of petrol was Rs 84.70 per litre in the economic capital of India, Mumbai. Whereas it touched the highest point of price in the National capital Delhi with Rs 76.87 per litre. The tax implemented by the centre and state government have also contributed to the price rise. At present, there is more than 100% tax on petrol and on diesel, it is Rs 66.48. These taxes include Central excise tax along with VAT. From the day Modi government came to power, the price of crude oil has been decreasing constantly but still, the price of petrol has been rising in the country constantly. Instead of curbing the petrol price government has constantly raised the excise duty of these products. At present, there is Rs 19.48 excise duty on petrol and Rs 15.33 per litre has been raised on diesel by the central government. Plus state government also add the VAT on petrol and diesel. For example, Maharashtra has implemented 46.52% VAT on the petrol, whereas Kerala and Goa have implemented 34% and 17 % tax respectively. When global price of crude oil was coming below 30 dollars per barrel even then government rapidly increased the excise duty and other taxes on petrol and diesel. According to the financial department and revenue department, the government of India is aiming to collect the 2.579 lakh crore by implementing taxes on petroleum products. This is more than Rs 88,600 crore revenue collection in the 2013-14 period. In last year this collection was 2.016 lakh crore.